With our experience moving, delivering and installing safes, Precision Lock & Safe, Inc. has the expertise and equipment to do the job right. We approach every move or delivery with a “white glove” attitude. 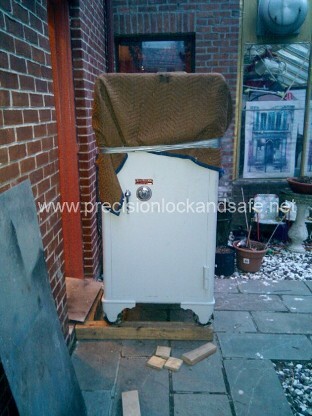 Safe moving can be a difficult and potentially dangerous task. 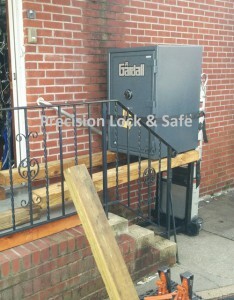 Each job has its own unique characteristics whether it is a relatively simple installation into a garage or a more complex delivery over outside grass or gravel, or interior hardwood or marble floor, through tight clearances or even up stairs. We know how to move a safe with care; it is more about technique than brawn. 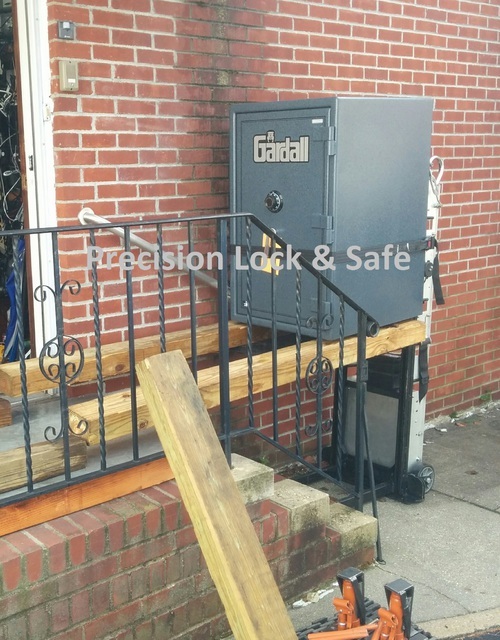 Instead of taking significant risks, call the experts; take advantage of the services provided by Precision Lock & Safe, Inc. Call us to take care of your delivery, installation, move or removal. 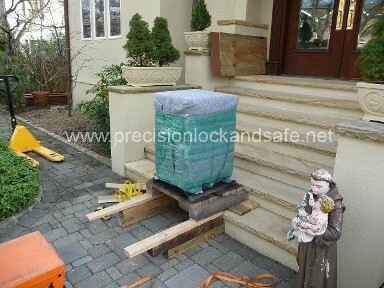 We have specialized safe moving equipment as well as the necessary skills. Unmarked vehicles are an important part of our equipment and will help to make the job as discrete an event as possible. Our movers are bonded and insured to provide you confidence and security. 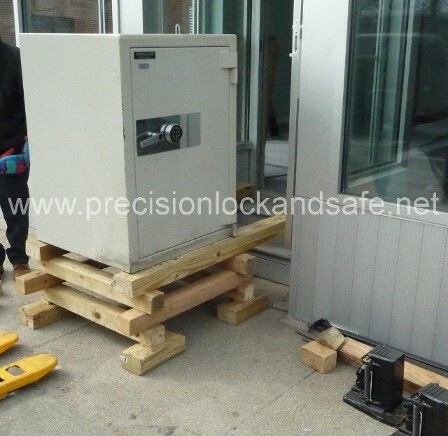 Commercial safe delivery using wood cribbing to bring the safe up steps. 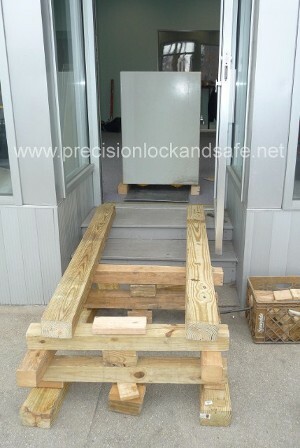 Commercial safe delivery using wood cribbing to bring the safe up steps. 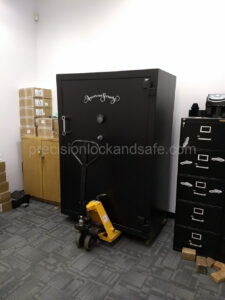 Restored safe delivery to customers home using a stair climber. 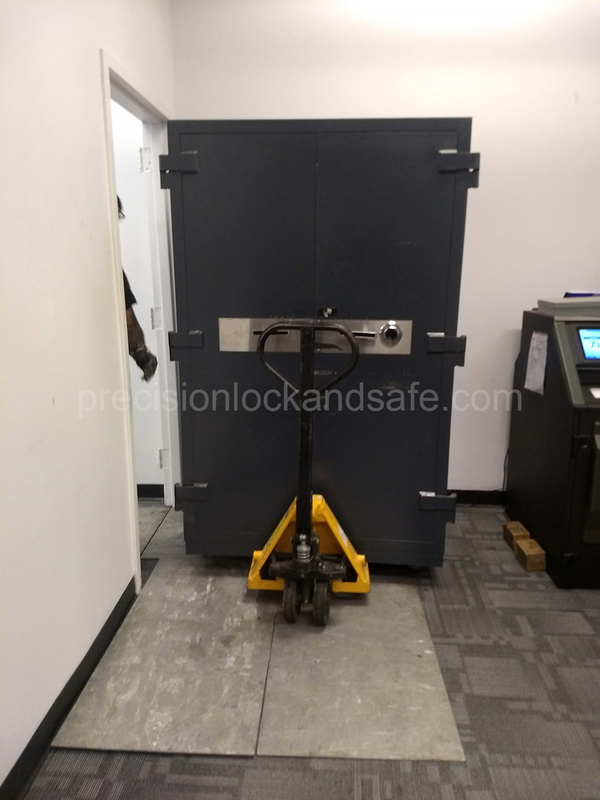 Restored safe delivery to customers home using a stair climber.